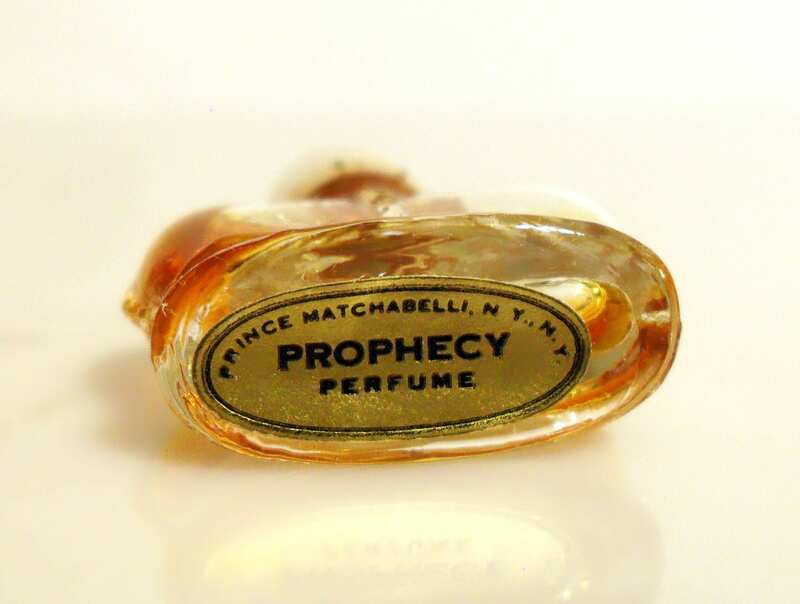 Vintage 1960s Prophecy by Prince Matchabelli 1/8 oz Pure Parfum Splash in figural Miniature Crown Bottle. The bottle is about 40% full of the original perfume. The perfume is old and no longer fresh and smells like alcohol. 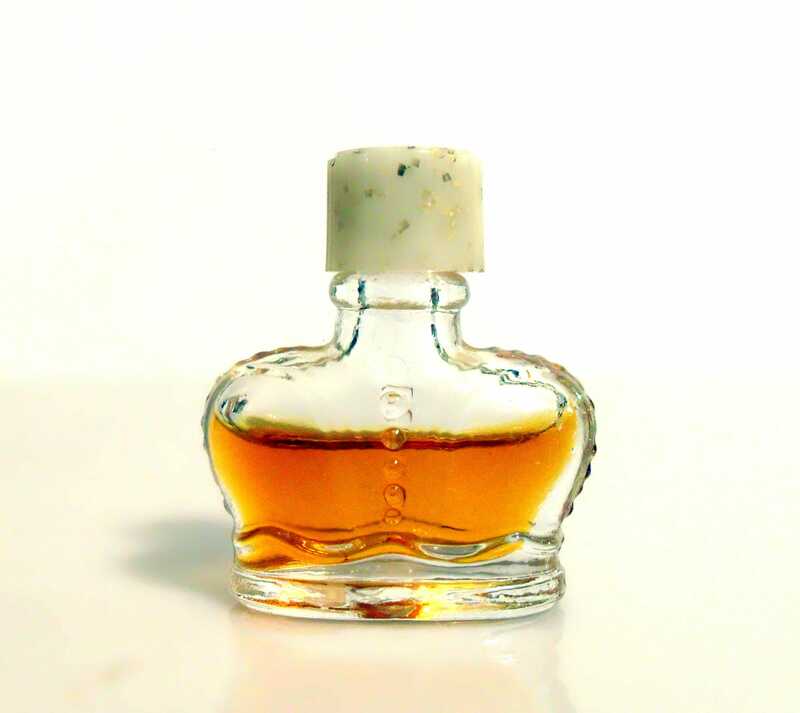 It would be better suited to your collection of perfume bottles, rather than a staple in your perfume wardrobe. The bottle stands 1 1/2" tall. It is topped by a plastic screw cap. The little gold paper label on the base is still intact. These bottles were made in America by Swindell Bros.
Prophecy was launched in 1962. This is the original version, not the reformulated one that is sold today. So what does it smell like? It was classified as a woody floral fragrance for women.